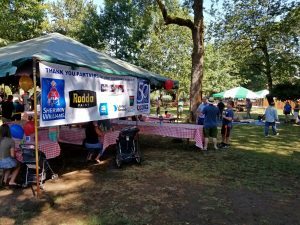 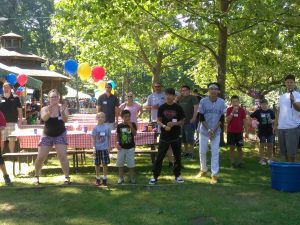 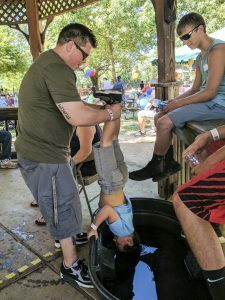 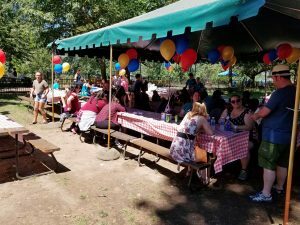 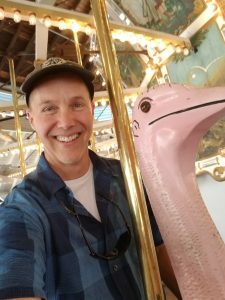 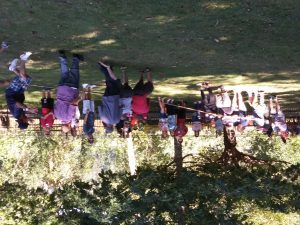 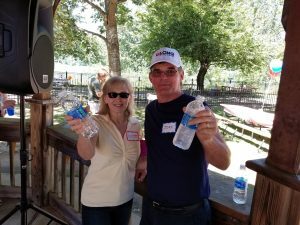 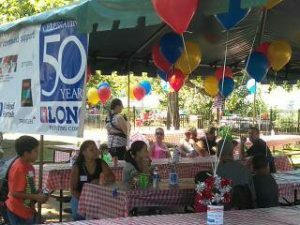 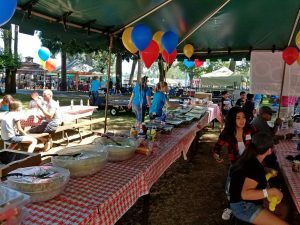 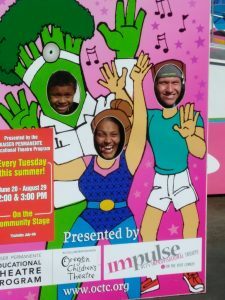 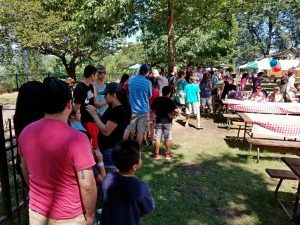 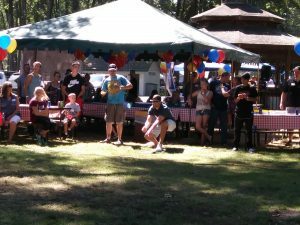 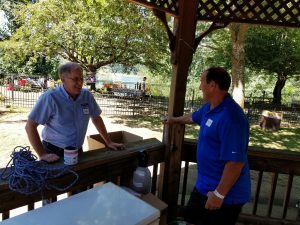 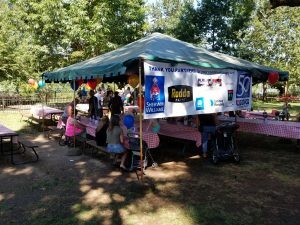 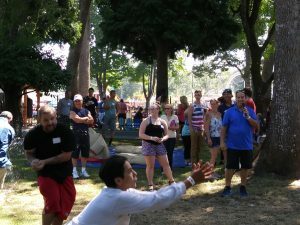 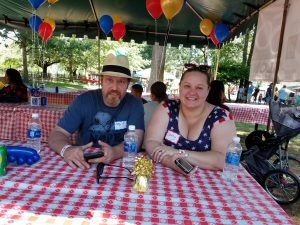 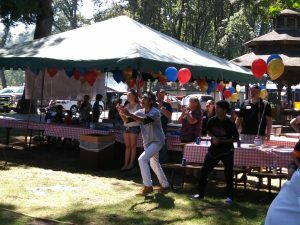 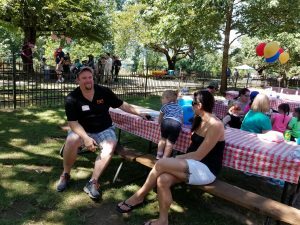 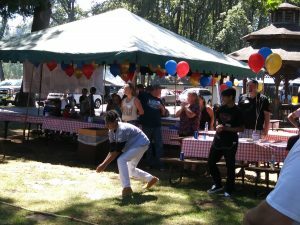 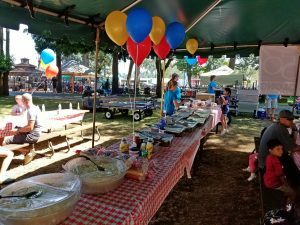 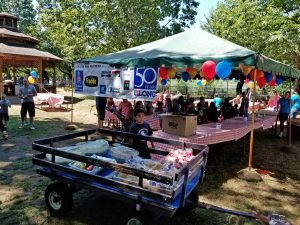 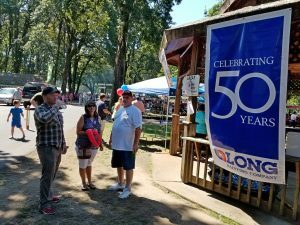 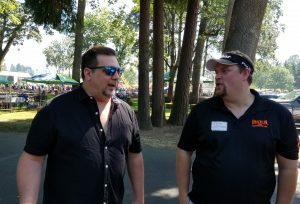 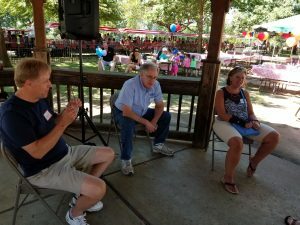 The Long Painting Company Vancouver group celebrated their Friends & Family 50th Anniversary Picnic on Saturday, August 5th at Oaks Amusement Park in 92-degree weather. 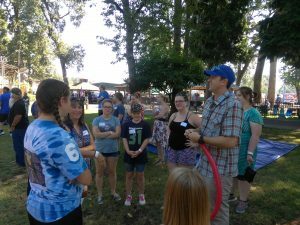 Over 140 people from Kent and Vancouver attended. 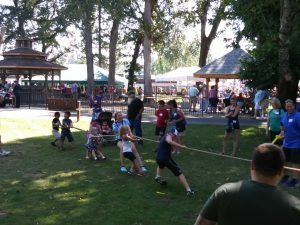 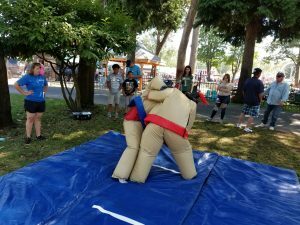 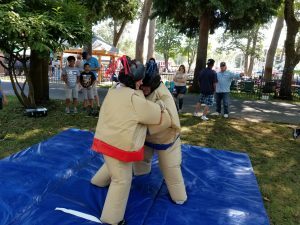 Many contestants enjoyed a very competitive tug of war, water balloon toss, and wrestling in sumo suits in hopes of earning additional raffle tickets to have better odds at winning the amazing raffle prizes. 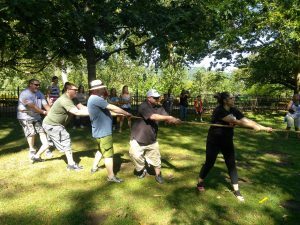 The tug of war competition was very fierce with office vs. field staff winning the first round; ten field staff won the second round against five office staff. 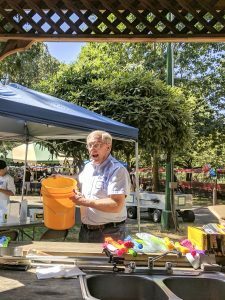 Children especially enjoyed the balloon artist and playing with the water toys. 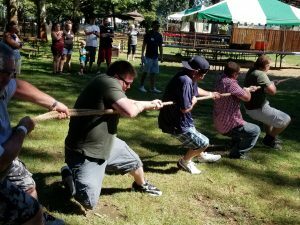 They even pulled teams together to compete in their own tug of war competitions. 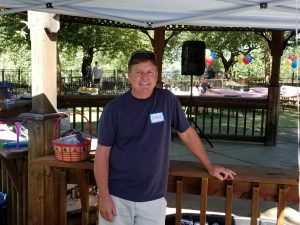 Just a few of the raffle prize winners were – Mitch Doney was the lucky winner of the Trailblazer tickets, Larry Goebel won the GoPro package and river rafting/cooler set and Dan Roush’s daughter, won the Minecraft Xbox One. 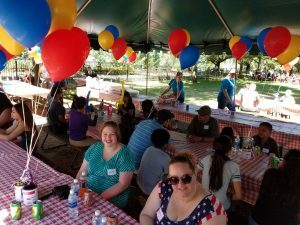 After enjoying a delicious barbeque lunch, participants went on the amusement park rides. 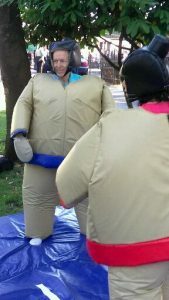 What a perfect way to finish off a perfect day!